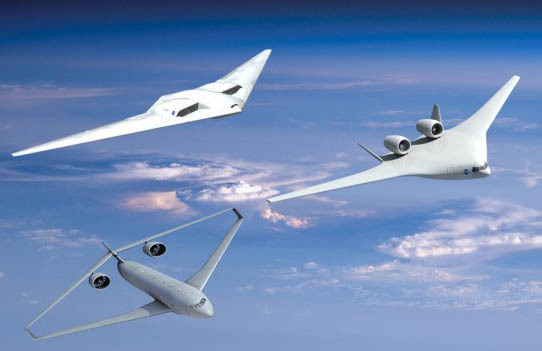 Leaner, greener flying machines for the year 2025 are on the drawing boards of three industry teams under contract to the NASA Aeronautics Research Mission Directorate's Environmentally Responsible Aviation Project. 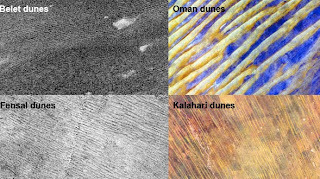 Teams from The Boeing Company in Huntington Beach, Calif., Lockheed Martin in Palmdale, Calif., and Northrop Grumman in El Segundo, Calif., have spent the last year studying how to meet NASA goals to develop technology that would allow future aircraft to burn 50 percent less fuel than aircraft that entered service in 1998 (the baseline for the study), with 75 percent fewer harmful emissions; and to shrink the size of geographic areas affected by objectionable airport noise by 83 percent. "The real challenge is we want to accomplish all these things simultaneously," said ERA project manager Fay Collier. "It's never been done before. We looked at some very difficult metrics and tried to push all those metrics down at the same time." So NASA put that challenge to industry awarding a little less than $11 million to the three teams to assess what kinds of aircraft designs and technologies could help meet the goals. The companies have just given NASA their results. "We'll be digesting the three studies and we'll be looking into what to do next," said Collier. Boeing's advanced vehicle concept centers around the company's now familiar blended wing body design as seen in the sub-scale remotely piloted X-48, which has been wind tunnel tested at NASA's Langley Research Center and flown at NASA's Dryden Flight Research Center. One thing that makes this concept different from current airplanes is the placement of its Pratt & Whitney geared turbofan engines. The engines are on top of the plane's back end, flanked by two vertical tails to shield people on the ground from engine noise. The aircraft also would feature an advanced lightweight, damage tolerant, composite structure; technologies for reducing airframe noise; advanced flight controls; hybrid laminar flow control, which means surfaces designed to reduce drag; and long-span wings which improve fuel efficiency. When scientists discovered two great swaths of radiation encircling Earth in the 1950s, it spawned over-the-top fears about "killer electrons" and space radiation effects on Earthlings. The fears were soon quieted: the radiation doesn't reach Earth, though it can affect satellites and humans moving through the belts. Nevertheless, many mysteries about the belts – now known as the Van Allen Radiation belts remain to this day. "For a long time, it was thought particles would precipitate downward out of the belts," says Drew Turner, a scientist at the University of California, Los Angeles, and first author on a paper on these results appearing onine in Nature Physics on January 29, 2012 date. "But more recently, researchers theorized that maybe particles could sweep outward. Our results for this event are clear: we saw no increase in downward precipitation." While it may sound like a simple detail, such knowledge is not just esoteric. Indeed, the study of particle losses in the belts has so far provided more mystery and potential theories than concrete information. 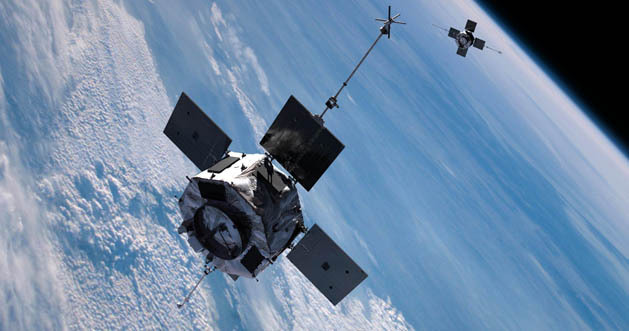 But understanding the radiation belts – and how they change as particles and energy come in or go out is a crucial part of protecting satellites that fly through the region. 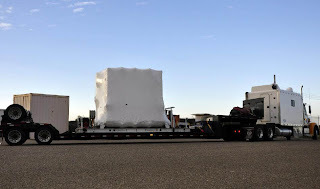 NASA's Nuclear Spectroscopic Telescope Array, or NuSTAR, mission arrived at Vandenberg Air Force Base in California this morning after a cross-country trip by truck from the Orbital Sciences Corporation's manufacturing plant in Dulles, Va. The mission is scheduled to launch from Kwajalein Atoll in the Pacific Ocean on March 14. 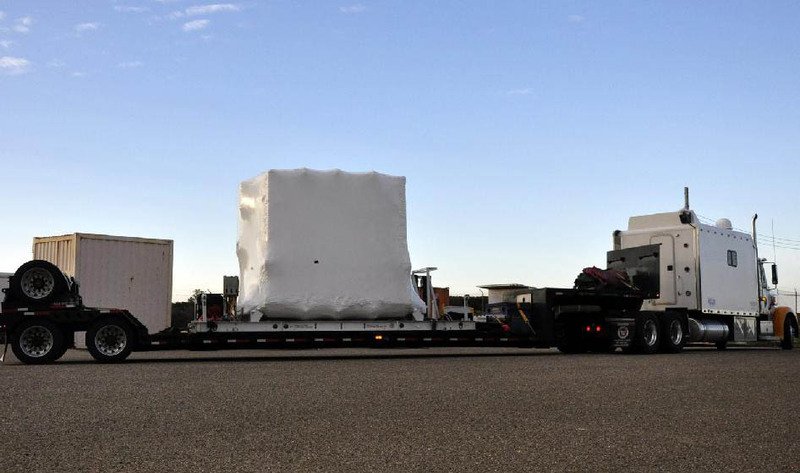 Once the observatory is offloaded at Vandenberg, it will be moved into a processing hangar, joining the Pegasus XL rocket that is set to carry it to space. Over the weekend, technicians will remove its shipping container so that checkout and other processing activities can begin next week. Once the observatory is integrated with the rocket in mid-February, technicians will encapsulate it in the vehicle fairing, which is also scheduled to arrive at Vandenberg today. After processing is completed, the rocket and spacecraft will be flown on Orbital's L-1011 carrier aircraft to the Ronald Reagan Ballistic Missile Defense Test Site at Kwajalein Atoll for launch in March. 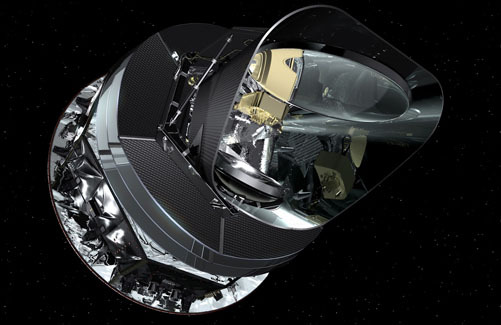 NuSTAR is a small-explorer mission managed by NASA's Jet Propulsion Laboratory, Pasadena, Calif., for NASA's Science Mission Directorate in Washington The spacecraft was built by Orbital Sciences Corporation. 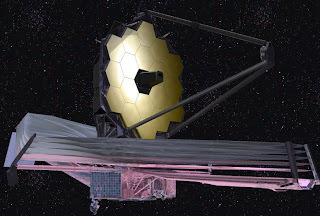 Its instrument was built by a consortium including the California Institute of Technology, Pasadena; JPL; Columbia University, New York, N.Y.; NASA's Goddard Space Flight Center, Greenbelt, Md. ; the Danish Technical University in Denmark; the University of California, Berkeley; and ATK, Goleta, Calif. NuSTAR will be operated by UC Berkeley, with the Italian Space Agency providing its equatorial ground station located at Malindi, Kenya. The mission's outreach program is based at Sonoma State University, Calif. NASA's Explorer Program is managed by Goddard. JPL is managed by Caltech for NASA. 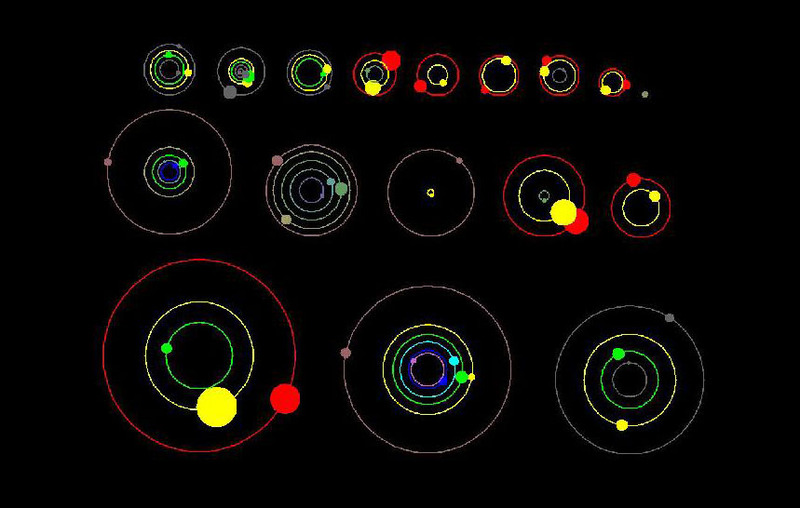 NASA's Kepler mission has discovered 11 new planetary systems hosting 26 confirmed planets. These discoveries nearly double the number of verified Kepler planets and triple the number of stars known to have more than one planet that transits, or passes in front of, its host star. Such systems will help astronomers better understand how planets form. “Confirming that the small decrease in the star's brightness is due to a planet requires additional observations and time-consuming analysis," said Eric Ford. Solar flares are giant explosions on the sun that send energy, light and high speed particles into space. These flares are often associated with solar magnetic storms known as coronal mass ejections (CMEs). While these are the most common solar events, the sun can also emit streams of very fast protons – known as solar energetic particle (SEP) events – and disturbances in the solar wind known as corotating interaction regions (CIRs). All of these can produce a variety of "storms" on Earth that can – if strong enough -- interfere with short wave radio communications, GPS signals, and Earth's power grid, among other things. The amount of solar activity increases approximately every 11 years, and the sun is currently moving toward another solar maximum, likely in 2013. 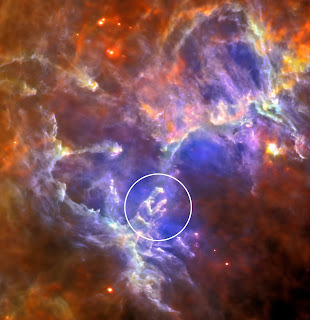 That means more flares will be coming, some small and some big enough to send their radiation all the way to Earth. The National Oceanic and Atmospheric Administration has devised categories for the flares and various storms. The biggest flares are known as "X-class flares" based on a classification system that divides solar flares according to their strength. The smallest ones are A-class (near background levels), followed by B, C, M, and X. Similar to the Richter scale for earthquakes, each letter represents a 10-fold increase in energy output. So an X is ten times an M and 100 times a C. Within each letter class there is a finer scale from 1 to 9. While long anticipated in both science and science fiction, the existence of a circumbinary planet a planet orbiting two stars like "Tatooine" portrayed in the film Star Wars more than 30 years ago, was not definitively established until the discovery of Kepler-16b, announced in September 2011. 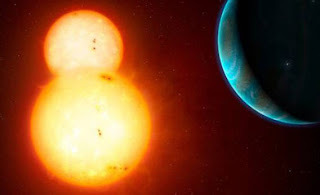 Today, using data from NASA’s Kepler mission, astronomers announced the discovery of two new double-star planet systems – Kepler-34 and Kepler-35 at the 219th meeting of the American Astronomical Society in Austin, Texas, Jan. 8-12, 2012. "This work further establishes that such 'two sun' planets are not rare exceptions, but may in fact be common, with many millions existing in our galaxy," said William Welsh of San Diego State University and Kepler participating scientist who led the study. "This discovery broadens the hunting ground for systems that could support life." The two new planets, named Kepler-34b and Kepler-35b, are both gaseous Saturn-size planets. Kepler-34b orbits its two sun-like stars every 289 days, and the stars orbit one another every 28 days. Kepler-35b orbits its smaller and cooler host stars every 131 days, and the stellar pair orbit each other every 21 days. The planets reside too close to their parent stars to be in the "habitable zone"- the region where liquid water could exist on a planet's surface. PASADENA, Calif. 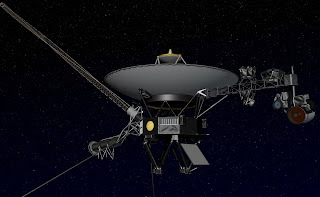 In order to reduce power consumption, mission managers have turned off a heater on part of NASA’s Voyager 1 spacecraft, dropping the temperature of its ultraviolet spectrometer instrument more than 23 degrees Celsius (41 degrees Fahrenheit). It is now operating at a temperature below minus 79 degrees Celsius (minus 110 degrees Fahrenheit), the coldest temperature that the instrument has ever endured. 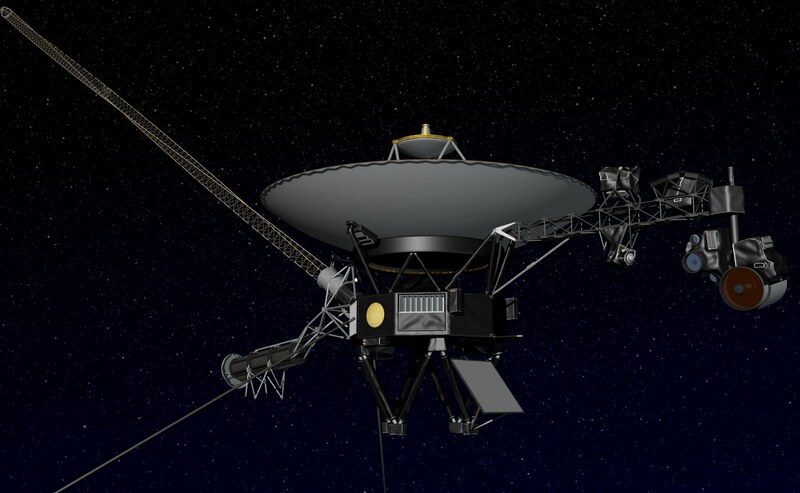 This heater shut-off is a step in the careful management of the diminishing electrical power so that the Voyager spacecraft can continue to collect and transmit data through 2025. 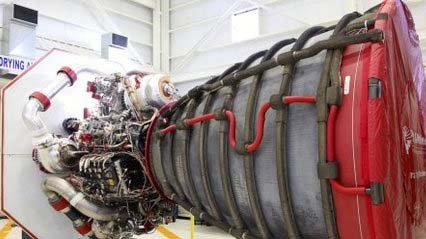 The relocation of the RS-25D space shuttle main engine inventory from Kennedy Space Center's Engine Shop in Cape Canaveral, Fla., is underway. The RS-25D flight engines, repurposed for NASA's Space Launch System, are being moved to NASA's Stennis Space Center in south Mississippi. "The relocation of RS-25D engine assets represents a significant cost savings to the SLS Program by consolidating SLS engine assembly and test operations at a single facility," said William Gerstenmaier, NASA’s Associate Administrator for Human Exploration and Operations Mission Directorate. The RS-25Ds to be used for the SLS core stage will be stored at Stennis until testing begins at a future date. Testing is already under way on the J-2X engine, which is planned for use in the SLS upper stage. Using the same fuel system liquid hydrogen and liquid oxygen for both core and upper stages reduces costs by leveraging the existing knowledge base, skills, infrastructure and personnel. In December, manufacturing and testing of all flight mirrors was completed in a final test at the X-ray and Calibration Facility at Marshall Space Flight Center, Huntsville, Ala. During these tests mirror segments were chilled to temperatures similar to those Webb will see in space, around minus 400 degrees Fahrenheit. PASADENA, Calif. An engine firing on Jan. 11 will be the biggest maneuver that NASA's Mars Science Laboratory spacecraft will perform on its flight between Earth and Mars. In late November, the Solar and Heliospheric Observatory's (SOHO) online "Pick of the Week" reached an impressive milestone: its 500th edition. This is an incredibly popular feature, which highlights one video or image of the sun each week. 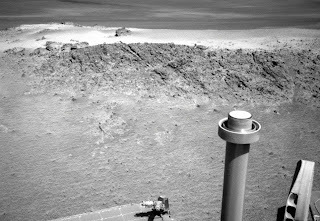 The SOHO project is a cooperative effort between the European Space Agency and NASA. SOHO was designed to study the internal structure of the Sun, its extensive outer atmosphere and the origin of the solar wind, the stream of highly ionized gas that blows continuously outward through the Solar System. The SOHO "Pick of the Week" (POTW) began in September 2001, about five years after the start of SOHO operations. The team has produced roughly 50 images per year since that time. The series started with a request for a weekly image or video clip to be sent to the American Museum of Natural History's Rose Center for Earth and Space in New York City. The museum displays the SOHO weekly picks along with a description on a video wall. Each POTW is also sent via the museum's Astro Bulletins to about 20-30 other museums and science centers, and since early 2007 to more than 300 additional venues which are part of the Hubble Space Telescope's ViewSpace kiosk program. 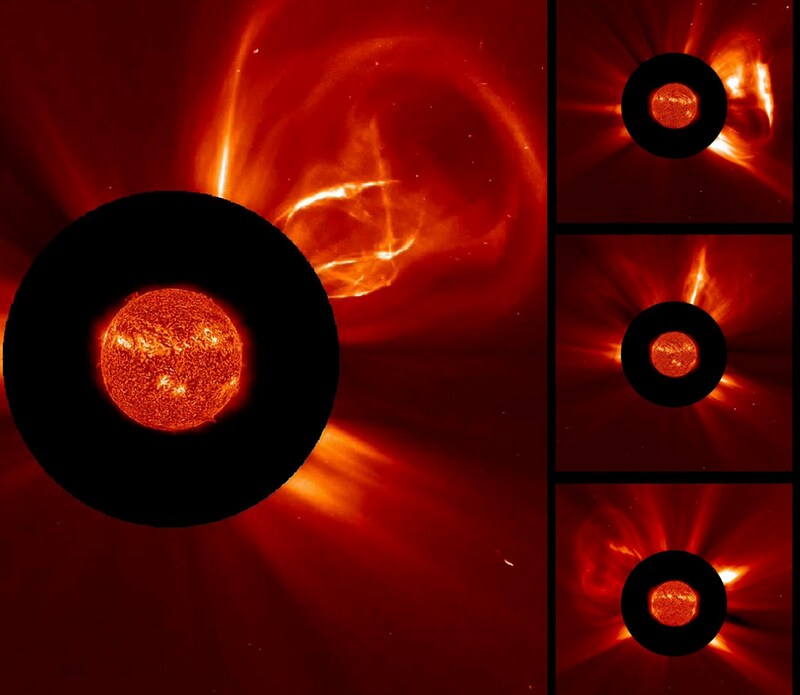 When the twin Solar Terrestrial Relations Observatory (STEREO) spacecraft were launched in 2006, their data was also included in POTW features, depending on which event or topic seemed to have wider appeal. Steele Hill of NASA's Goddard Space Flight Center in Greenbelt, Md., is the originator and producer of this highly successful program. 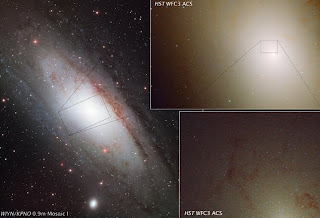 Goddard's Joe Gurman, SOHO and STEREO project scientist, has supported this effort from its initial concept and provides comments on the content as each selection is developed. SOHO's webmaster George Dimitoglou of Goddard has been instrumental in ensuring the images, videos and captions get uploaded to the SOHO website. 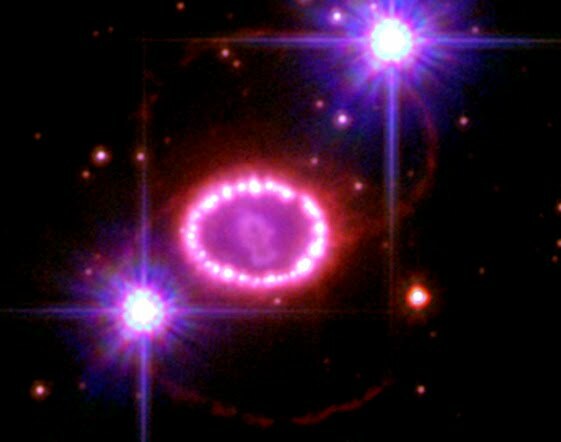 Given the incredible amounts of energy in a supernova explosion as much as the sun creates during its entire lifetime another erroneous doomsday theory is that such an explosion could happen in 2012 and harm life on Earth. 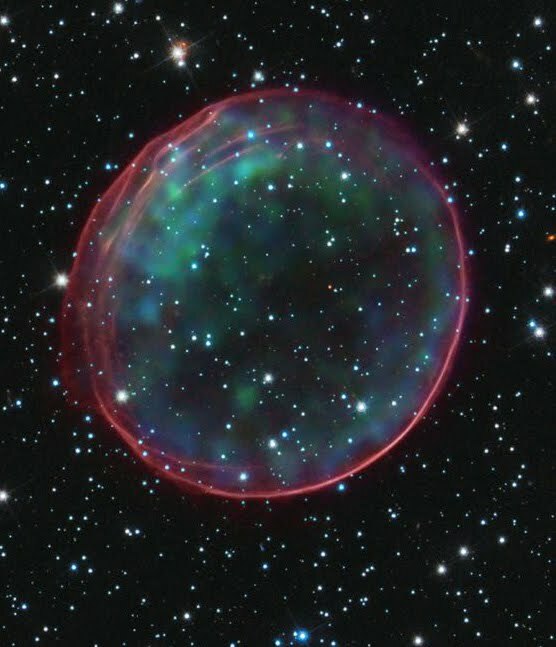 However, given the vastness of space and the long times between supernovae, astronomers can say with certainty that there is no threatening star close enough to hurt Earth. 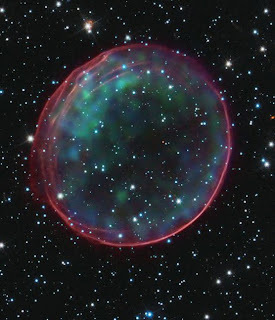 Another explosive event, called a gamma-ray burst (GRB), is often associated with supernovae. When a massive star collapses on itself or, less frequently, when two compact neutron stars collide the result is the birth of a black hole. As matter falls toward a nascent black hole, some of it becomes accelerated into a particle jet so powerful that it can drill its way completely through the star before the star's outermost layers even have begun to collapse. If one of the jets happens to be directed toward Earth, orbiting satellites detect a burst of highly energetic gamma rays somewhere in the sky. These bursts occur almost daily and are so powerful that they can be seen across billions of light-years. Powerful Pixels: Mapping the "Apollo Zone"
For NASA researchers, pixels are much more they are precious data that help us understand where we came from, where we've been, and where we're going. At NASA's Ames Research Center, Moffett Field, Calif., computer scientists have made a giant leap forward to pull as much information from imperfect static images as possible. With their advancement in image processing algorithms, the legacy data from the Apollo Metric Camera onboard Apollo 15, 16 and 17 can be transformed into an informative and immersive 3D mosaic map of a large and scientifically interesting part of the moon. The "Apollo Zone" Digital Image Mosaic (DIM) and Digital Terrain Model (DTM) maps cover about 18 percent of the lunar surface at a resolution of 98 feet (30 meters) per pixel. 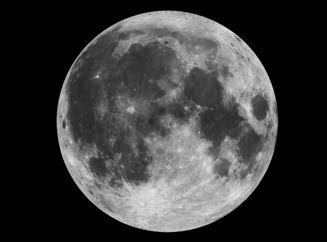 The maps are the result of three years of work by the Intelligent Robotics Group (IRG) at NASA Ames, and are available to view through the NASA Lunar Mapping and Modeling Portal (LMMP) and Google Moon feature in Google Earth. "The main challenge of the Apollo Zone project was that we had very old data – scans, not captured in digital format," said Ara Nefian, a senior scientist with the IRG and Carnegie Mellon University-Silicon Valley. "They were taken with the technology we had over 40 years ago with imprecise camera positions, orientations and exposure time by today’s standards." PASADENA, Calif. The second of NASA's two Gravity Recovery And Interior Laboratory (GRAIL) spacecraft has successfully completed its planned main engine burn and is now in lunar orbit. Working together, GRAIL-A and GRAIL-B will study the moon as never before. "NASA greets the new year with a new mission of exploration," said NASA Administrator Charles Bolden. "The twin GRAIL spacecraft will vastly expand our knowledge of our moon and the evolution of our own planet. We begin this year reminding people around the world that NASA does big, bold things in order to reach for new heights and reveal the unknown." GRAIL-B achieved lunar orbit at 2:43 p.m. PST (5:43 p.m. EST) today. GRAIL-A successfully completed its burn yesterday at 2 p.m. PST (5 p.m. EST). The insertion maneuvers placed the spacecraft into a near-polar, elliptical orbit with an orbital period of approximately 11.5 hours. 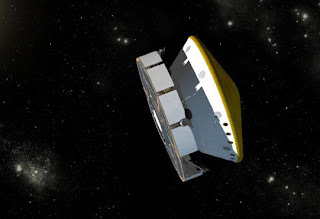 Over the coming weeks, the GRAIL team will execute a series of burns with each spacecraft to reduce their orbital period to just under two hours. At the start of the science phase in March 2012, the two GRAILs will be in a near-polar, near-circular orbit with an altitude of about 34 miles (55 kilometers). During GRAIL's science mission, the two spacecraft will transmit radio signals precisely defining the distance between them. As they fly over areas of greater and lesser gravity caused by visible features such as mountains and craters, and masses hidden beneath the lunar surface, the distance between the two spacecraft will change slightly.